Design Manager – Fit-out / Joinery. 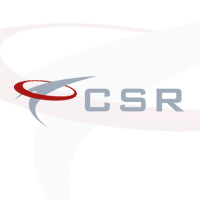 CSR is currently working on behalf of a leading fit-out contractor based in Co. Armagh in their recruitment of a Design Manager to oversee a diverse range of projects and coordinate the design team. The company has established itself as a leading specialist fit-out contractor providing a bespoke service to a range of clients both in Ireland and further afield. Due to continued success and recent expansion, they are now looking to bring in an experienced Design Manager to oversee the design team. This is an excellent opportunity for an experienced Senior Designer to take a leading role with a contractor that is expanding due to continued project wins. In return, the successful candidate will be offered a leading salary and benefits package.